Texture polish is one of the most fun trends in nail polish for me. I just love it tons. It's so different from anything we've seen in so long. Here's my latest texture mani. 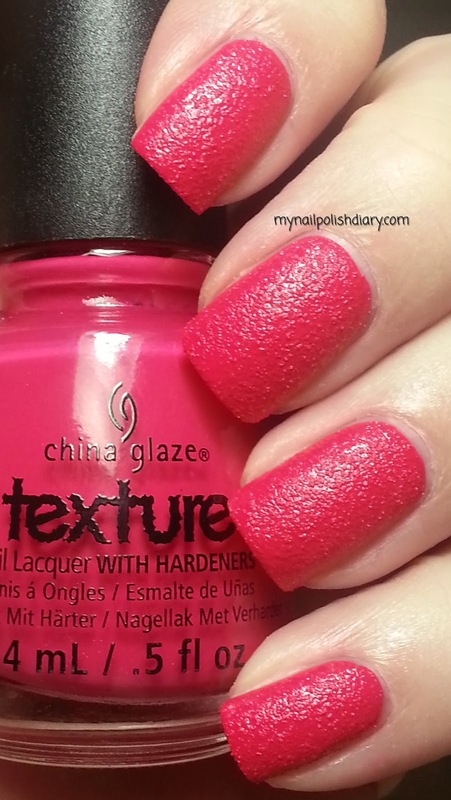 China Glaze Bump & Grind was released in the summer 2013 Texture collection. I bought the whole collection :D Gotta catch 'em all, right? Bump & Grind is a pink fuchsia creme with texture. There's no glitter in this one. I wasn't sure how I'd like a creme texture but for sure I am loving them as much as the glittery. It's all just fun and I enjoy wearing texture so much. Application was easy and this is two coats with no top coat. Gorgeous color!